1.) 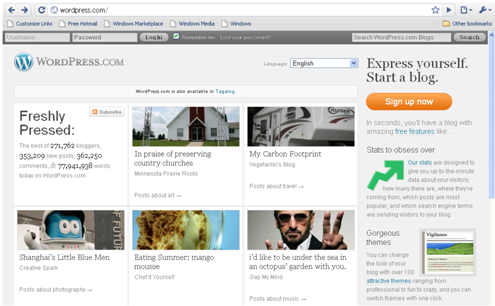 Go to http://wordpress.com, and then click the Sign up now button. This will display the Sign up window shown in Figure 2. You are a student and you your teacher encourages you to blog and share to the world what you have learned from him. The problem is you do not know how to blog. You are a teacher and you want to encourage your students to blog and share to the world what you have taught them. The problem is you do not have time to teach them how to blog. You are an educator, you want to share your thoughts, but you have no time to explore a blogging website. You searched for a blogging tutorial on the net and what you got are hundreds of 2-page (or more) independent documents which has no apparent beginning, no clear end, and no continuity at all. WordPress. WordPress is a free blogging site. Upgrade is available (for a fee) for larger storage and domain name customization. 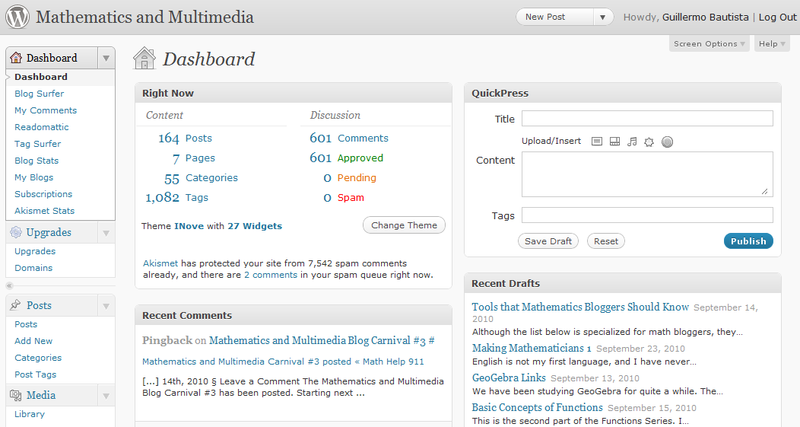 I chose WordPress to host Mathematics and Multimedia mainly because of its Latex support. As of this writing, as far as I know, two of its top competitors, Blogspot and Typepad, do not support Latex yet. Google Docs. Google Docs can be used to store and share documents online. It has its own word processor, spreadsheet, and presentation software. It has currently released a new drawing software. You can use Google Docs to store your documents and link your blog to it.